We are transforming the power of water into energy. Water is one of the most profitable sources of energy and the most important renewable energy source in North Macedonia. There are two types of hydropower plants in North Macedonia, storage and run-of-river plants, with an average annual production of 1,200 GWh, and the total installed capacity is 554 MW, or 40% of total capacities of JSC ESM. The hydro power is the principal renewable energy resource discovered till present days. Its utilization is in relation with th e construction of the necessary civil engineering object, as dams and accumulations, or long inflow tunnels and pipelines, which from one point of view makes the construction of the hydro power plants expensive, and from another point of view contributes to the development of the overall economy in the country. Opposite to the large construction cost, the annual costs for exploitation of the plants and production of electricity are very low. 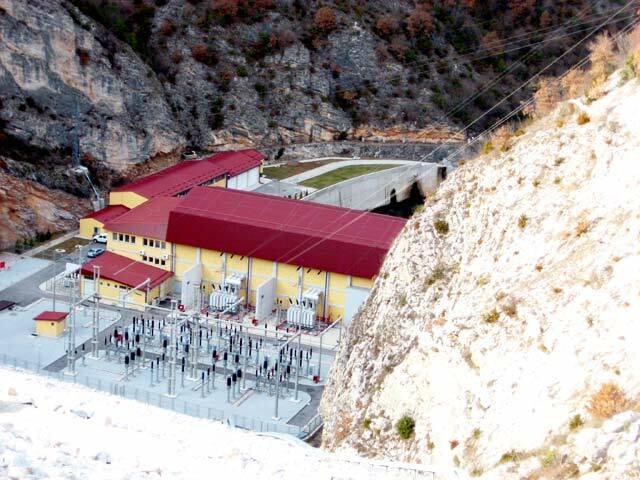 Considering the restricted natural resources in Republic of North Macedonia, the utilization of the hydro potential is of vital importance for the development of the electric power sector and the entire country. The region of Republic Macedonia in respect of the terrain configuration and the climate conditions is predisposed for utilization of the river flows, construction of dams and smaller and larger accumulations. Today, with the existing utilization of the hydro power resources, out of the total technically useable potential are used only 26,6%.